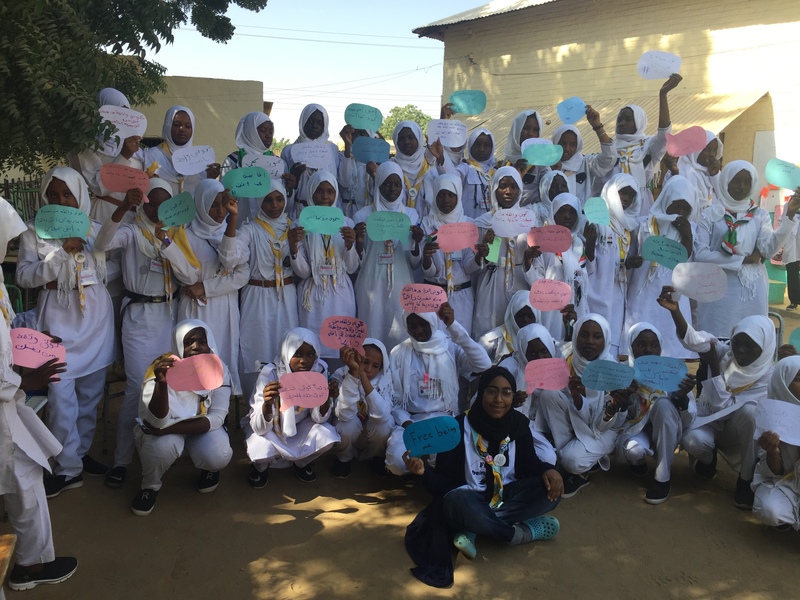 The Association of Guides Sudan, in cooperation with the Ministry of Education, held a national school course in which all the 18 states of Sudan participated. Mentors participated in this activity with 200 instructors and 30 leaders. Activities were carried out at the camp for a period of 4 days. The action project was to talk about the program during the morning queue in their schools and work of on periodic publications concerning the program.